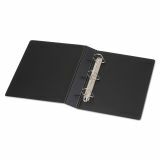 Legal-size printouts can be easily referenced in binder. Heavy-duty material, XtraLife® hinge and BlindEdge™ Weld for added strength. 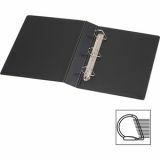 Slant-D® ring holds 25% more than round-ring binders. 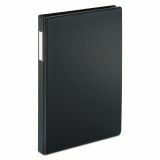 Cardinal Legal Slant D Ring Binder, 2" Cap, 14 x 8 1/2, Black - Slant-D ring binder with clear label holder on the spine features extra-long covers to display and hold your legal-size documents. Three-ring style uses standard hole-punch. Slant-D rings with no triggers hold 25 percent more than standard round-ring binders. 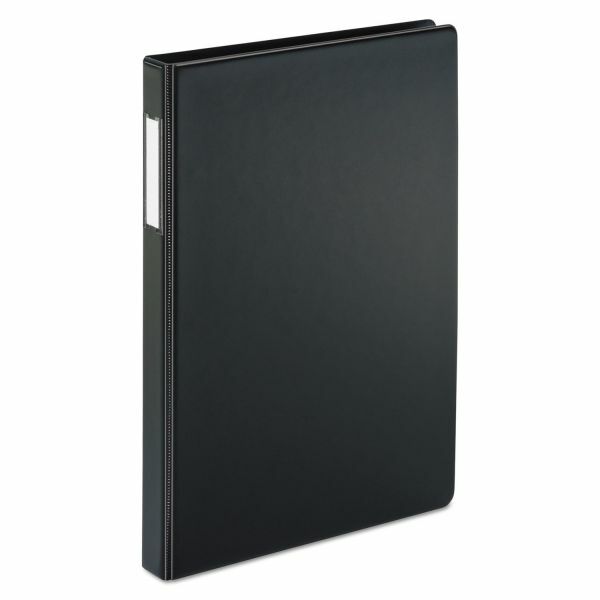 Back-mounted steel rings reduce wear and let pages lie flat. 2 capacity holds 540 sheets of legal-size paper. 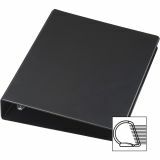 Thick, 14-gauge vinyl offers durability and long life with XtraLife hinge and BlindEdge Weld for added strength. 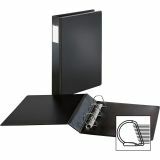 Binder also features exposed rivets and a sturdy chipboard core."